Tired of being tired and out of shape? 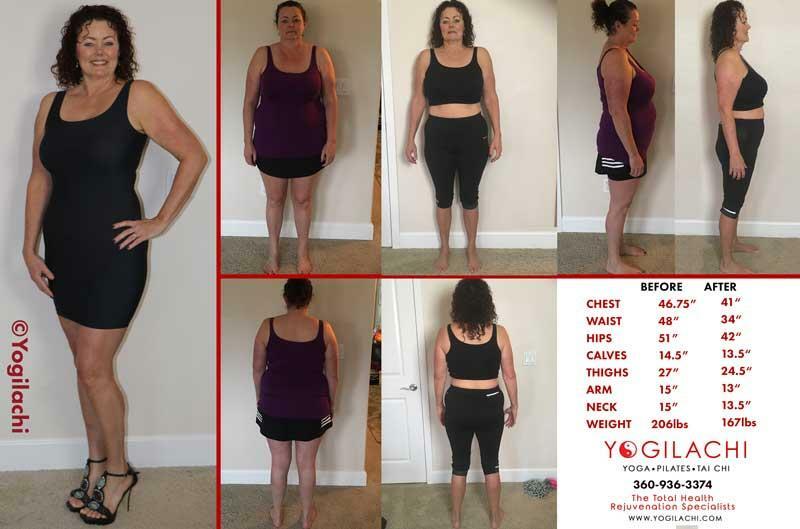 Ready to get your body and your life back? The Yogilachi® Holistic Approach is what changes our clients’ lives. Breathing, Hydration, Sleep, Movement, Nutrition, Thoughts & Emotions. These principles are all equally important, dependent on and connected to each other and MUST be addressed if any lasting lifestyle changes will be made. We’re so sure that our system works, we guarantee you’ll see results. Get toned, lose fat and restore your youthful energy. Our programs are designed to put you back in control of your life; enabling you to revitalize and optimize without compromise restoring balance to have more time, energy, money, intimacy, and fun. Lose fat. Build muscle and bone density. Shape your body. Enhance your physique. Improve posture. Improve movement grace. Relieve Stress. Increase energy. Enhance Relaxation. Rehabilitate injuries. Achieve Vibrant Health. Gain Vitality. Run faster, jump higher, and perform at your peak in your sport. Maximise your daily strength and stamina. Improve your work performance and go home feeling fresh. Dance up a storm. Improve your digestion, nutrition and eating habits.